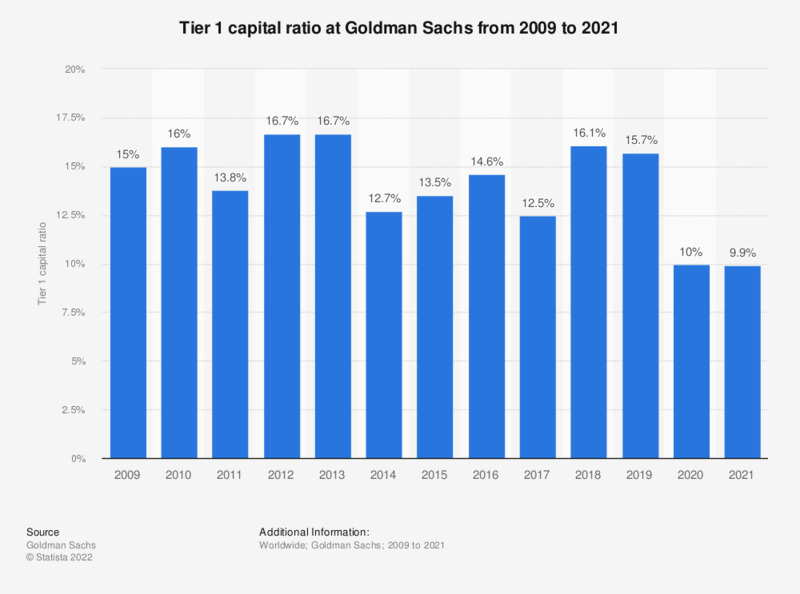 The statistic presents the tier 1 capital ratio at Goldman Sachs from 2009 to 2018. Tier 1 capital is the core measure of bank's financial strength from the regulator's point of view. It is the ratio of bank's core equity capital to the total risk-weighted assets. The tier 1 capital ratio at Goldman Sachs amounted to 16.1 percent in 2018. Everything On "Goldman Sachs" in One Document: Edited and Divided into Handy Chapters. Including Detailed References.